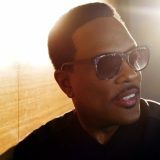 Spin This: "Smile for Me," "Made for Love," "Dance Tonight"
Like most R&B singers with at least forty years of experience to their name — after piggybacking off the dramatic Linda Perry/Sheila E conversation that unfolded last year, soul survivor Charlie Wilson is in a race with time to stay relevant. Despite being locked down to 40-and up grown folks’ urban radio, he’s currently winning the race. Collaborations on top-tier rap albums by Kanye West, Grammy nods, consistent touring and albums still marching to gold status have kept Wilson, age 64, forever young. 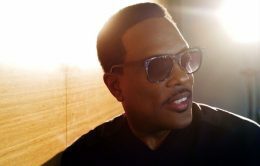 2015’s Forever Charlie allowed the former Gap Band frontman and funkateer to return to more upbeat, robust Gap-funk workouts, an exercise that’s been sorely missed from his solo catalog at RCA. And he pulled it off without sounding like an exasperated crooner lost in nostalgia. On his latest chapter on the label, In It to Win It, Wilson looks fearless and almost invincible, thanks to being surrounded by massive star power (Pitbull, Snoop Dogg, T.I., Wiz Khalifa, Robin Thicke, Lalah Hathaway). But dropping the ear closer to the grooves, especially on the album’s first half, exposes a few concerning missteps. “Us Trust” steals exactly the same atmosphere of Wilson’s now-classic “There Goes My Baby.” And “Good Time,” even with the Chic-sprinkled guitar licks absorbed, is cheesier than Carly Rae Jepsen’s “Good Time.” The continuous “good time, good good time” chorus gets irritating very quickly, just for being so darn simple. And tagging party man Pitbull should have been a smart strategy. Like who turns down a Pitbull cameo for a potential pop crossover? But it turns out Pit’s verses are so explicit and raw that there should have been a role reversal: Rapper on verses and the established hook man on chorus and ad-libs. There’s also “Better,” a totally incomplete song showcasing repetitious acoustic riffs and never graduating past coffee shop filler. 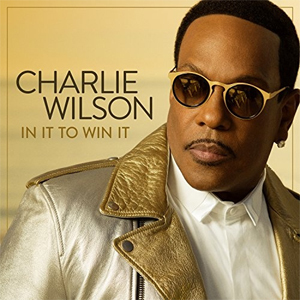 But the very good news of In It To Win It is that production levels are brighter than previous LPs and the songs are mostly maturing, artistic works compared to his lightweight, demo-esque Uncle Charlie-era compositions. It’s also the vocal duets that shine the most. A major standout, the Robin Thicke-featured “Smile for Me” is pleasantly rendered, capturing innocent Impressions-slicked melodies floating on the wing tip of Ed Sheeran’s “Thinking Out Loud” and Charlie Puth’s “One Call Away.” It does sound like its own authentic song, despite the floating influences being there. For Thicke, this is a welcoming, redemptive olive branch from the R&B world after diving into inactivity after the “Blurred Lines” lawsuit, the Paula Patton divorce and his last LP, the skimpy Paula. Hopefully this pairing will erase some of the pain inherited from Thicke’s past mistakes. It also sounds like a believable duet, with both gents performing it in the same room — a wild throwback in an era where tracks are now being crafted in personal studios and sent via Dropbox. Possibly the grandest moment on board, “Made for Love,” another awe-strumming duet, pairs Wilson with the jazzy Lalah Hathaway and swings on the coat tails of Luther/Cheryl Lynn “If This World Were Mine.” It’s ripe with rose petal romance, dressed in necessary Stevie Wonder melisma and classy strings. Another album footnote: “Dance Tonight,” despite masquerading as album filler, works for its Pharrell-gliding riffs and for sounding organically funky without shamefully copying the Gap Band formula. Wilson’s real-life testimony, sewn together through a series of ups and downs, are also captured throughout the lyrics (“I’m Blessed,” “Amazing God”) and even the opening dialogue of the inspiring title cut. It’s his way of blending his faith with profession. The upbeat title track, his survivor’s anthem, inherits Wilson’s spiritual glue and utilizes the urban contemporary churchiness of Fantasia’s ‘Lose to Win’ catchy lingo (“I never stopped believing/I’m gonna see it all the way through…Put me in the fourth quarter/It’s ain’t over ’til it’s over”). It will easily gravitate to Wilson’s demo. Now that the Gap Band survivor is making careful notches up the ladder of urban contemporary soul as a solo act and sought-out hookman while most of his predecessors have been easily forgotten, there’s a good chance Wilson will net one or two deserving radio strongholds. He’ll gain the ears of the Kirk Franklin generation with his message of redemption, piggybacking on the success of the Grammy-nominated gospel crossover “Believe.” As good as In It To Win It stands up as a single body of work, it still bleeds with rush job faults and spotty knee jerks. But the gloriously rich vocalist, an alum of the Stevie Wonder aesthetic, still sings like no other. Despite being an AARP card carrier, he still sings Saturn-size rings around the modern-era R&B crooning class. He’s also a real-life victor with a comeback kid narrative that hooks the heart of almost any human. All that aside, taking some of the duds off and saving it for a deluxe edition while strengthening the first half (especially “Good Time” and “Us Trust”) would have easily given Wilson his best album to date.